This Sunday I'll be setting up a Knitting SOS, free drop in knitting group at Potters Fields for The Wool Ride. You can find me at the Look Mum No Hands cafe so whether you are cycling, knitting or both, pop in and say hello. 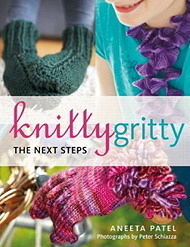 I'll be there from 11am-2pm ready to answer all your knitty questions. 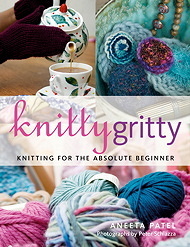 Whether you are a Knitting SOS regular or new to the craft, this is the perfect place to soak up the atmosphere on the day with a cuppa and some chat. The Wool Ride is a metropolitan bike ride on Sunday 5th October 2014. You can join the fun from 9am - 2pm with your friends, family and loved ones for a one of a kind wool experience. Starting and finishing at Potters Fields, the ride will take in some of London's key sights and hotspots passing through iconic scenery such as; London Bridge, Buckingham Palace, Westminster, Knightsbridge, Park Lane and Regent Street. There will be a host of entertainment and activity to make it a day to remember with Potters Fields becoming a hub of creative fusion of wool and textiles with demonstrations and talks on sheep shearing, the story of wool and much more.